Anyone who has known me for about five minutes knows that I love Hamilton with a feverish, almost delirious intensity. It’s not entirely because of my love for the history of the American Revolution. 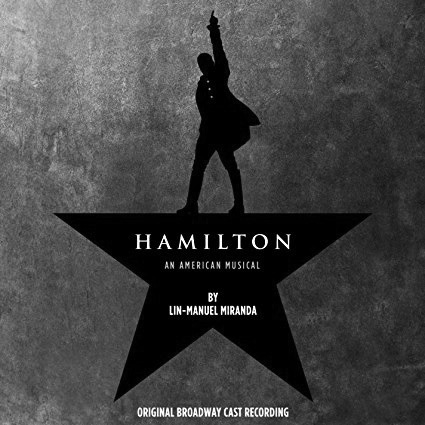 Lin-Manuel Miranda’s tour de force is infused by a sense of momentum, a speeding course of human events that you either ride or die in, and that’s all due to the genius of the score. So even though other passionate fans may find it blasphemous, here are my Top 10 Hamilton songs. Consider it my Federalist Papers to Miranda’s Constitution. “George Washington always agrees with Hamilton!” grumble the other members of the cabinet. While this isn’t my favorite in terms of melody, the lyric “Let’s show these Federalists who they’re up against / Southern motherf*cking Democratic Republicans!” is one of my favorites. Boy, do Hamilton and Thomas Jefferson hate each other. Jefferson thinks he owned Hamilton (“Look, when Britain taxed our tea we got frisky / Imagine what gon’ happen when you try to tax our whiskey,”) but that was nothing compared to how Hamilton roasted him. “A civics lesson from a slaver? Hey neighbor / Your debts our paid cause you don’t pay for labor / “We plant seeds in the South. We create. / Man, keep ranting. / We know who’s really doing the planting.” It’s worse than when my best friend roasts me, and that’s saying something. Okay, I’m in love with Lafayette (slash Daveed Diggs.) America’s favorite fighting Frenchman — yes. Enough said. This is the one my roommate and I have been known to sing-shout on the quad late at night when no one is listening. There’s just an incredible lyrical quality to “Meanwhile, Britain keeps shittin’ on us endlessly / Essentially, they tax us relentlessly / Then King George turns around, runs a spending spree / He ain’t ever gonna set his descendants free / So there will be a revolution in this century.” This was the first one I learned by heart. Ever since the original Hamilton cast performed “One Last Time” for President Barack Obama during his last year in office, the song has had a special poignance for me. I’ll never be able to get past the beautiful excerpts from Washington’s “Farewell Address” with a dry eye. This song finally introduces the revered general and patriot George Washington. It’s just a straight-up jam, and it has a lot of references to real Revolutionary War battles, which the history nerd in me loves. Burr desperately wants to be remembered, and we can all relate to the intense desire to see your hard work pay off and the frustration when it doesn’t. It also includes the verses that Miranda has said he is proudest of (“The art of the compromise / Hold your nose and close your eyes / We want our leaders to save the day / But we don’t get a say in what they trade away / We dream of a brand new start / But we dream in the dark for the most part.”) But, of course, we don’t remember Burr for the reasons he wanted.